A lot of us Gen Xers, especially Second Wave Xers, have memories of our youth sprinkled with the songs of The Smashing Pumpkins in the background. I started listening to them roughly halfway through high school. I had this little red and orange patch attached to my backpack, Pumpkins posters around my room, and Siamese Dream often found its way into my CD player. As I blog my way through a year-long journey to find the Lost Generation, (those born around 1885-1900 or soon after) I've noticed that a lot of Gen Xers, also known as a 'lost generation', have a fascination with The Gilded Age (from about the 1870s - around 1900) and the Roaring 1920's. For some, that fascination overlaps with the Victorian Age (1837-1901). This era is seen in the art of the Mellon Collie and the Infinite Sadness album. The imagery from the "Tonight, Tonight" video is from the 1902 silent film Le Voyage dans la Lune. Billy Corgan, who wrote almost all the music on the album, drew sketches of his ideas for John Craig, the artist who designed the collage images. Craig was influenced by Dadaism which began around 1915. Inspiration for many of the songs came about while Corgan was on his 1920's era piano. While two volumes of the album - Dawn to Dusk and Twilight to Starlight - fit on a double CD, it is actually takes up 3 on vinyl. Mellon Collie was released October 24, 1995 - my freshman year in college and became album of the year. "1979" was the band's biggest hit single ever. We are quick to turn up the volume when it's charming rhythm comes on the radio, though the melancholy side of it is the way our Gen X youth and our mortality are intertwined. When the band went on tour for the Mellon Collie album in 1996, I was a sophomore at University of Houston. It was a balmy early December when my friend and I went to see them at The Summit. 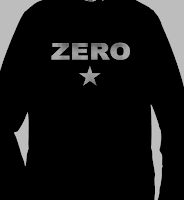 It was an amazing show and I needed a memento to take with me - my zero shirt. 1996 was a year when the yuppie values of the older generation felt like they still overshadowed us as we tried to make our way into the adult world, causing many of us to think more about what we could give the world than what we could take from it. For me, wearing this shirt was an antithetical rebellion to their narcissistic success. Boomer businessmen, some of them my relatives, would look at me when I'd wear this shirt with expressions ranging from confusion to pure disdain. Fellow Xers would see wearing this and give me an approving nod. 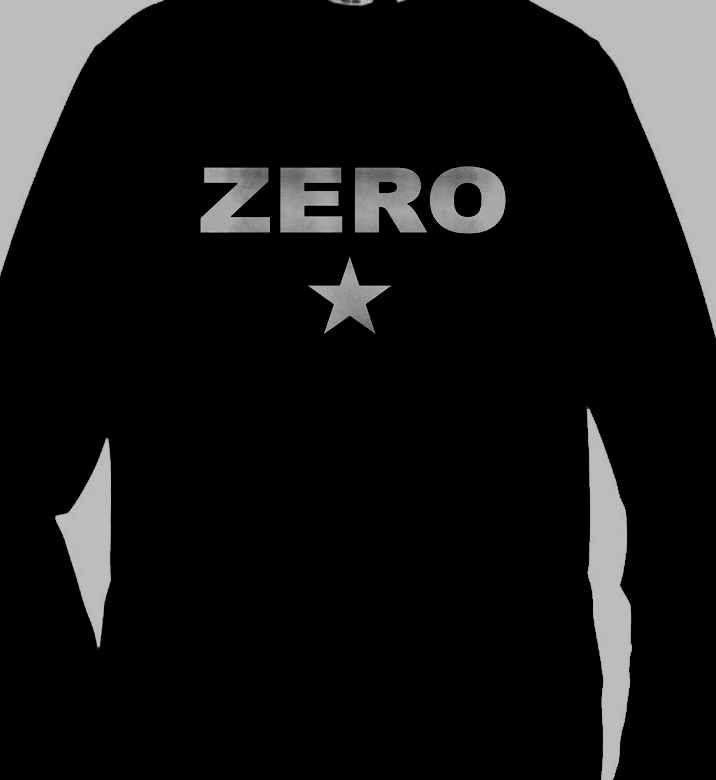 I'd walk down the street with that School House Rock song stuck in my head, "My Hero, Zero." I'd borrowed my friend's CD set of this album around the time of the Mellon Collie tour, and the music from that album will always hold the memories of those mid-'90s days, but I never got my own copy of the album until the 2012 reissue. One afternoon when I lived in Portland, Oregon, I took the train to Everyday Music, a small, local music store, because I knew the album would be there. 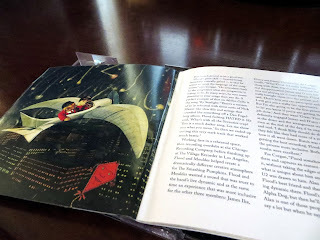 Standing in line to pay, I waved the album in the air and excitedly made an announcement to the entire store that after waiting for years, I was finally buying the Mellon Collie album. Flannel-clad Gen Xers from around the store clapped for me, Gen Xers squatting down looking at bins of retro vinyl stood up and and cheered for me. Everyone in the store from other generations looked at me blankly. Some have called this an 'end of an era' album, some have called it The Wall for Generation X. What I can say is that there is something significant about this album, culturally, generationally, and otherwise. While this album is full of justifiable rage and sorrow, there are bits and pieces of hope. Referring to the song, Tonight, Tonight, in the sleeve of the 2012 reissue that I have, Corgan said "That's just one of those songs that really connects with people - the chords, the message, everything. And somehow the song continues to hold that power." These words have held a lot of power for us as a generation, they elevated us through the '90's when a changing millennium was at our door, and when the wounds of youth were still fresh on our skin: "...life can change...you're not stuck in vain." One of the many things this expansive album captures is the residual pain of growing up in the most anti-child phase in modern history. Billy Corgan's childhood was an excruciating one, it was full of a lot of the same abuse and agony that a lot of Gen X knew in our most impressionable years. To take a look at his online blog from several years back is to walk down a dark, familiar alley of a common Gen X childhood. Some of the most heartbreaking and most resonating words I've ever heard from a Gen Xer are contained within the song "To Forgive:"
Life can change, we're not stuck in vain. 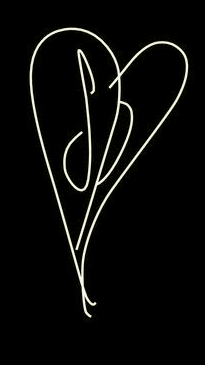 The Smashing Pumpkins/Billy Corgan, John Craig, Virgin Records.